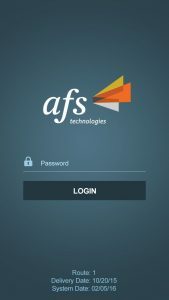 PHOENIX – April 13, 2017 – AFS Technologies, a leading global provider of software solutions purpose-built for consumer goods companies, announces the latest release of its electronic proof of delivery (ePoD) application for Android®. AFS ePoD 2.0 for Android enables real-time delivery automation with paperless proof of delivery, ensuring food safety with the certainty that the correct product went to the correct customer at the correct time. ePoD facilitates one-up, one-down traceability with track and trace capability. 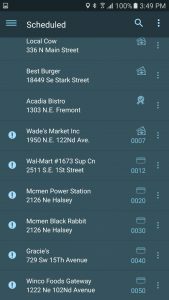 This mobile application is used by drivers to verify delivery and automate data capture in real-time, providing the distribution center with valuable intra-day intelligence and visibility into order adjustments, returns, credits, cash collection/deposits/credit card processing, driver performance, and GPS monitoring that otherwise might not be available until the next day – if at all. 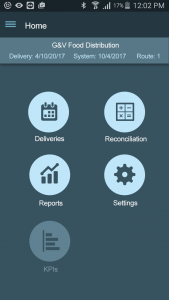 AFS ePoD 2.0 for Android is just one component of the AFS Delivery Execution Solutions suite, which includes DSD Office, DSD Mobile for Android and iOS®, Electronic Proof of Delivery (ePoD), Distributor Management System (DMS), Home Delivery, Web Ordering, and Client Portal.